Boston, MA (Jan. 24, 2017) — Brady People ID has expanded their TRUECOLOR capabilities with digital printing on rigid, semi-rigid and neon luggage tags. 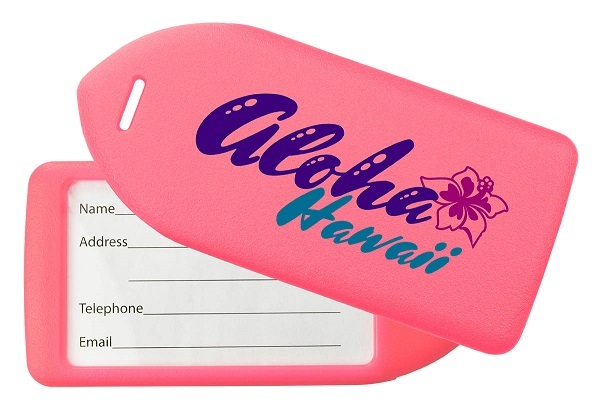 TRUECOLOR is a long-lasting print method that can applies four-color customization directly to luggage tags. TRUECOLOR lets you choose from hundreds of bright, vivid colors that will allow your chosen text, logos and custom graphics to stand out wherever you go. With the addition of eye-catching designs and text, TRUECOLOR makes it easier to identify your luggage while promoting your brand.